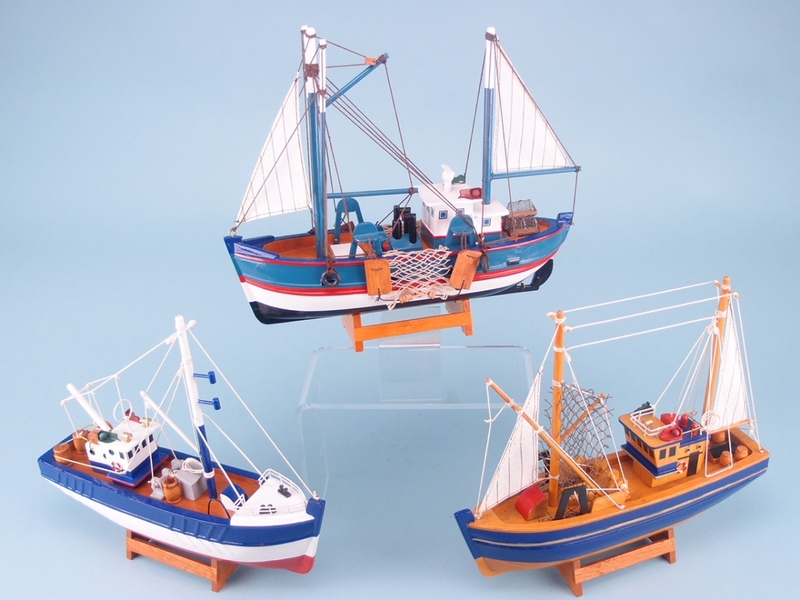 If you are looking to stock items that will appeal to those with an appreciation and enthusiasm for fishing and the sea, these fishing boats are a must stock item. 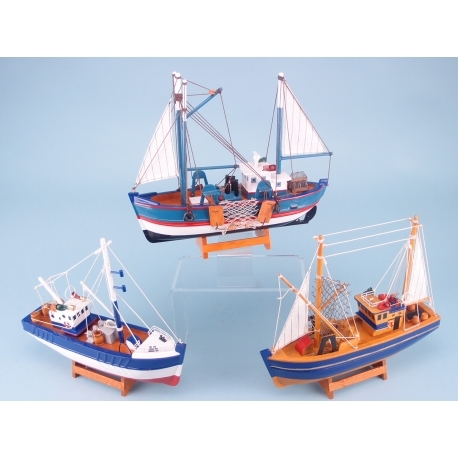 Coming in an assortment of three, these fishing boats have been skilfully crafted in intricate detail. They are mounted on wooden bases and have been painted in red, blue, white, and brown wood effect. The smallest details, from the fishing nets and anchors, right down to the sails, have been beautifully rendered in realistic detail. Measuring 30cm in length and 26cm in height, these will sail right off the shelves.